Match ends, Granada CF 1, Villarreal 1. Second Half ends, Granada CF 1, Villarreal 1. Attempt missed. Jeremie Boga (Granada CF) right footed shot from outside the box is close, but misses to the left. Substitution, Villarreal. Mario González replaces Alexandre Pato. Foul by David Barral (Granada CF). Attempt missed. David Barral (Granada CF) header from the centre of the box misses to the right. Assisted by Luis Martins with a cross. Isaac Cuenca (Granada CF) wins a free kick on the right wing. Foul by Roberto Soriano (Villarreal). Offside, Villarreal. Sergio Asenjo tries a through ball, but Alexandre Pato is caught offside. Alfred N'Diaye (Villarreal) wins a free kick in the defensive half. Substitution, Villarreal. Santos Borré replaces Nicola Sansone. Attempt missed. Ezequiel Ponce (Granada CF) right footed shot from the centre of the box is close, but misses to the right. Assisted by David Barral. Offside, Villarreal. Roberto Soriano tries a through ball, but Alexandre Pato is caught offside. Substitution, Granada CF. Luis Martins replaces Jon Toral. Attempt missed. Samu Castillejo (Villarreal) left footed shot from the right side of the box is close, but misses the top left corner. Assisted by Manu Trigueros. Attempt missed. Isaac Cuenca (Granada CF) right footed shot from outside the box is too high. Assisted by Rene Krhin. David Barral (Granada CF) has gone down, but that's a dive. Nicola Sansone (Villarreal) hits the bar with a header from very close range. Assisted by Samu Castillejo with a cross. Substitution, Granada CF. David Barral replaces Javi Márquez. Goal! 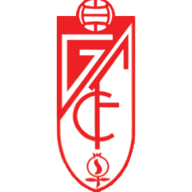 Granada CF 1, Villarreal 1. Ezequiel Ponce (Granada CF) left footed shot from very close range to the bottom left corner following a corner. Corner, Granada CF. Conceded by Antonio Rukavina. Attempt saved. Nicola Sansone (Villarreal) right footed shot from the right side of the box is saved in the top centre of the goal. Attempt blocked. Nicola Sansone (Villarreal) right footed shot from the centre of the box is blocked. Assisted by Roberto Soriano. Goal! Granada CF 0, Villarreal 1. Samu Castillejo (Villarreal) from a free kick with a left footed shot to the bottom right corner. Nicola Sansone (Villarreal) wins a free kick in the attacking half. Foul by Antonio Rukavina (Villarreal). Roberto Soriano (Villarreal) hits the left post with a left footed shot from outside the box. Assisted by Manu Trigueros. Samu Castillejo (Villarreal) wins a free kick in the attacking half. Attempt missed. Alexandre Pato (Villarreal) right footed shot from outside the box is just a bit too high from a direct free kick. Alexandre Pato (Villarreal) wins a free kick in the attacking half. Offside, Granada CF. Lombán tries a through ball, but Ezequiel Ponce is caught offside. Alfred N'Diaye (Villarreal) is shown the yellow card for a bad foul. Jeremie Boga (Granada CF) wins a free kick in the defensive half. Foul by Alfred N'Diaye (Villarreal). Corner, Villarreal. Conceded by Dimitri Foulquier. Second Half begins Granada CF 0, Villarreal 0. First Half ends, Granada CF 0, Villarreal 0. Corner, Granada CF. Conceded by Roberto Soriano. Dangerous play by Ezequiel Ponce (Granada CF). Javi Márquez (Granada CF) wins a free kick in the defensive half. Attempt missed. Lombán (Granada CF) header from the centre of the box is high and wide to the right. Assisted by Jeremie Boga with a cross following a corner. Corner, Granada CF. Conceded by Víctor Ruiz. Corner, Granada CF. Conceded by Alfred N'Diaye. Corner, Granada CF. Conceded by Mario. 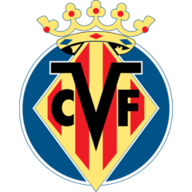 Nicola Sansone (Villarreal) is shown the yellow card. Nicola Sansone (Villarreal) has gone down, but that's a dive. Attempt blocked. Mateo Musacchio (Villarreal) right footed shot from the centre of the box is blocked. Corner, Villarreal. Conceded by Uche. Attempt blocked. Roberto Soriano (Villarreal) left footed shot from the centre of the box is blocked. Corner, Villarreal. Conceded by Jon Toral. Attempt blocked. Alexandre Pato (Villarreal) right footed shot from outside the box is blocked. Lombán (Granada CF) is shown the yellow card for a bad foul. Foul by Lombán (Granada CF). Attempt saved. Alexandre Pato (Villarreal) right footed shot from the centre of the box is saved in the centre of the goal. Attempt missed. Javi Márquez (Granada CF) right footed shot from outside the box misses to the right. Assisted by Isaac Cuenca following a set piece situation. Jeremie Boga (Granada CF) wins a free kick on the left wing. Offside, Villarreal. Alfred N'Diaye tries a through ball, but Roberto Soriano is caught offside. Foul by Jon Toral (Granada CF). Manu Trigueros (Villarreal) wins a free kick on the left wing. Corner, Granada CF. Conceded by Nicola Sansone. Tito (Granada CF) wins a free kick on the left wing. Attempt missed. Alexandre Pato (Villarreal) header from the centre of the box misses to the right. Assisted by Roberto Soriano with a cross.